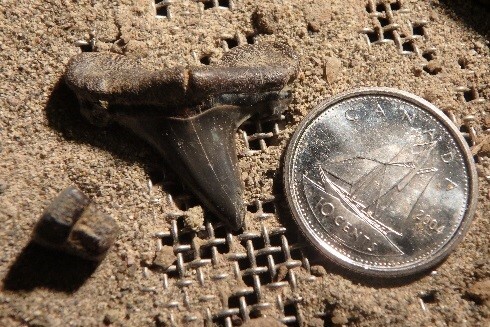 Learn how to sieve for small fossils with Palaeontology technician Chantal Montreuil. Shark and ray teeth, spines, fish scales... what will you find? For children aged 5 and up. Space is limited. Please arrive 15 minutes in advance to register at the front desk. You can bring a smock or old shirt and prepare to get muddy! * Please note that you will be handling small fossils. For safety reasons, this activity is not appropriate for children under 5 years old. Thank you for your understanding.